People like their seashores. They always have. The biophilia hypothesis even suggests we’ve got an intrinsic attraction to the coast, perhaps because of how fertile this threshold tends to be: Across human history, living’s often been easy here (relatively speaking), what with all the clams, fish, bird and turtle eggs, seaweed, and beached whales to feast on. Whether it’s an evolutionary deal or not, sand and surf certainly casts a powerful spell over us. Of course, this also means your average coastline tends to be thronged and shackled. Big harbor cities, resort towns, highways, swarmed beaches, jetties, and breakwaters and riprap: That’s often the look of the littoral in the United States. But there are places where the roughness of the shore, the roughness of the sea, or some farsighted conservation efforts have thwarted development and left a primeval frontier of terra firma and saltwater. For the backpacker or paddler, the wilderness coasts below—some of the most back-of-beyond in America—offer the rare chance to explore places where the land margin holds a magnificent mirror up to the inherent wildness of heaving swells and roaring breakers. Obligatory Alaska Disclaimer Any roundup of U.S. wilderness reckons with the scale of it in Alaska as compared to the rest of the country, and this here seacoast survey isn’t any different. We’re excluding the Last Frontier from the discussion, only because otherwise we’d end up devoting most of our attention to its vast reaches of remote strand. The hurricane coast of North Carolina’s Outer Banks reaches a wild pinnacle in Cape Lookout National Seashore, separated from the more developed Cape Hatteras National Seashore to the north by the Ocracoke Inlet. 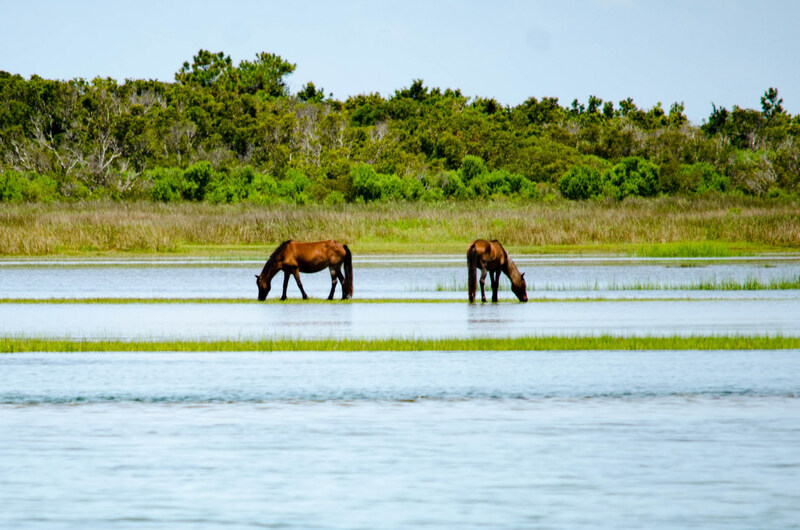 The barrier islands of Shackleford Banks, South Core Banks, and North Core Banks, separated from the mainland by Back and Core sounds, serve up some 112 miles of undeveloped shoreline, and hikers and boaters have awesome opportunities for primal beach camping. Check the National Seashore’s website for details on camping, plan kayak safaris with the Down East Paddle Trail, and avail yourself of a NOAA nautical chart. Sure, the Sunshine State’s got glammed-up resort beaches, gargantuan sprawl, and galaxies of golf courses. 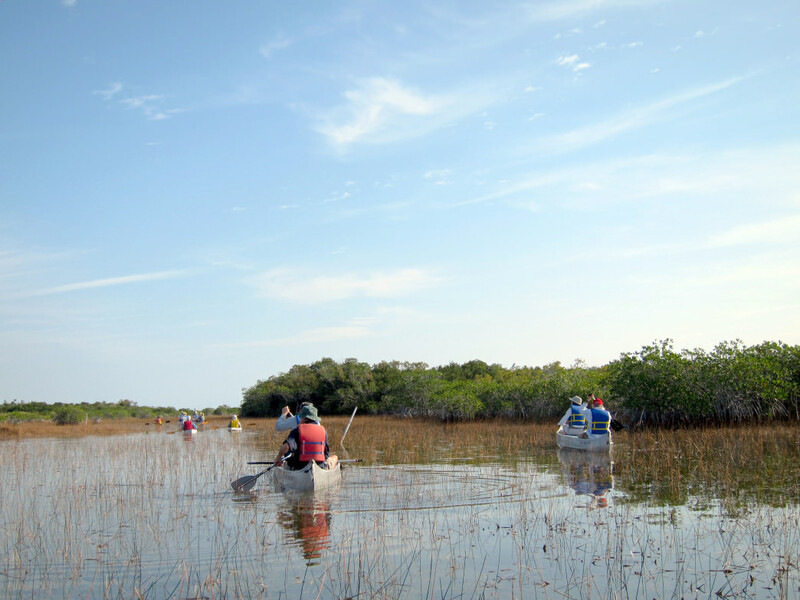 But it also lays claim to some truly gnarly wilderness, not least in southwestern Florida’s great mangrove rim edging the Gulf of Mexico and Florida Bay. Fed by the languid rivers and sloughs of the Everglades and the Big Cypress Swamp, this tropical outback comprises a morass of tidal swampland, backwater bays, maritime hammocks, and mangrove keys: one of the biggest roadless swaths—and certainly one of the wildest coastlines—in the conterminous U.S. The northern portion of the wilderness coast encompasses the Ten Thousand Islands from Cape Romano southeast to the vicinity of the shell isle of Chokoloskee. Southeast of that archipelago sprawl, the big mangrove swamps (or mangal) and brackish channels where the Big Cypress and the Shark River Slough of the Everglades drain to the sea. Lonely Cape Sable with its mangrove jungle, buttonwood parks, and coastal prairie forms the southwestern heel of the Florida mainland, wrapping around to the road’s-end outpost of Flamingo in Everglades National Park. From there to the east rolls another coastal backcountry: the scalloped, crocodile-prowled north shore of Florida Bay, roadless all the way to the Overseas Highway to Key Largo. Aside from a few buggy trails in the Flamingo vicinity, the only practical way to penetrate this convoluted seacoast is by boat. The 99-mile-long Wilderness Waterway makes a popular paddling or powerboat route, but a challenging one on account of mosquitoes, heat, wind, and the mazelike nature of the country. Not only one of the wildest seacoasts in the country but one of the most jaw-droppingly spectacular in the world, the North Shore of Molokai between the Kalaupapa Peninsula on the west and the Halawa Valley on the east confronts the Pacific with the world’s tallest sea cliffs: These pali, as they’re called in Hawaii, rear better than 3,000 feet from the surf at their highest, and wall off pristine high rainforest. Several almost otherworldly valleys breach this 40-mile-long bastion of Molokai’s “Back Side,” including the Nature Conservancy-managed Pelekunu Valley and the Wailau Valley, the beach mouth of which makes an unreal camping spot for coastal paddlers. Given the remoteness and the outer-coast conditions, kayaking the North Shore—a summertime activity—demands plenty of planning and preparation. A similarly sheer spectacle composes Kauai’s northwestern shore: the fabled Na Pali Coast, where slumping and erosion have turned the flanks of the island’s shield volcano into razorback spurs, toothy pinnacles, and grooved cliffs (which rise past 1,000 feet directly above the breakers, and beyond 4,000 feet just inland). This gloriously ravaged and roadless oceanfront extends some 15 miles between Polihale Beach in the southwest and Kee Beach in the northeast, the scenic apex being the pali-walled Kalalau Valley and its remote Kalalau Beach. 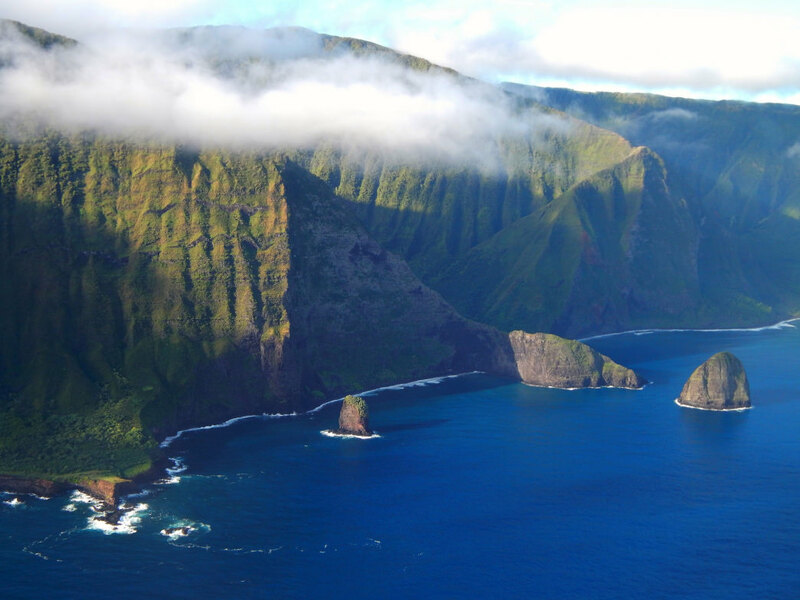 The Kalalau and other Na Pali glens, their headwalls streaked with waterfalls, historically sheltered populations of Native Hawaiians, who used what’s now the Kalalau Trail to access these valleys when the ferocious surf of winter made ocean access too dicey. Hiking the 11-mile-long Kalalau today and camping overnight in the coves of the Na Pali is unforgettable, though you must tread carefully along the steep and switchbacking track, as it's downright dangerous in wet conditions. 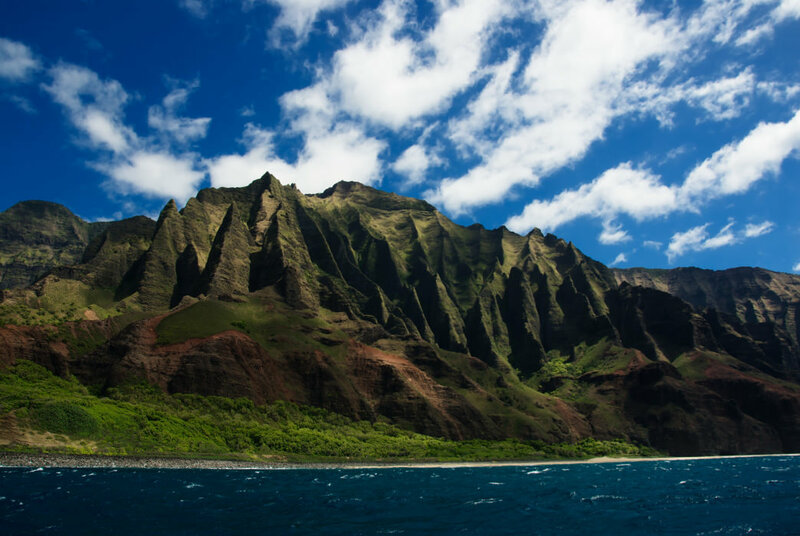 In summer, you can also kayak the Na Pali Coast, with the option of camping at the Miloli’i Valley, which is only reachable by boat. 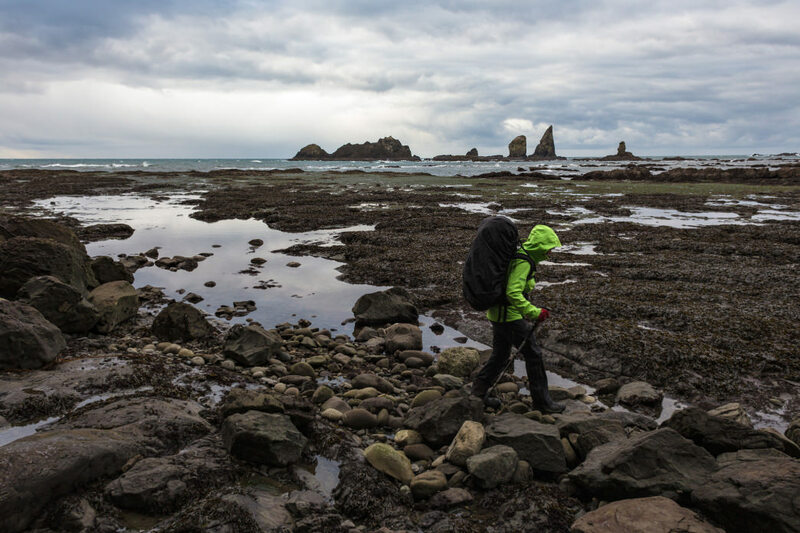 Spruce-topped seastacks, dark rainforest headlands, brimming tidepools, cobble coves, piles of whalesize driftwood, the gray rage of the North Pacific: the northwestern coast of Washington’s Olympic Peninsula offers backpackers some of the Lower 48’s rawest maritime wilderness. On this isolated outer coast, you may spot porpoises, harbor seals, and sea otters—maybe even a gray whale along its yearly Baja-to-Alaska-and-back odyssey. Two long roadless sections make up most of Olympic National Park’s seaboard: a southern reach between the mouth of the Hoh River and La Push on the Quillayute Indian Reservation, and a northern reach between Rialto Beach at the mouth of the Quillayute up to Shi Shi Beach. 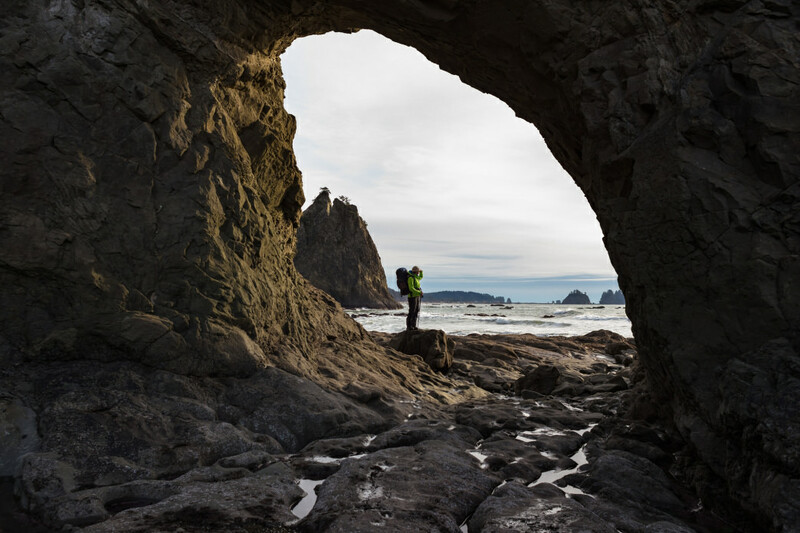 Major access points include Kalaloch and Rialto beaches and Ozette Lake in the coastal forest, from which boardwalk trails lead to Sand Point and Cape Alava. 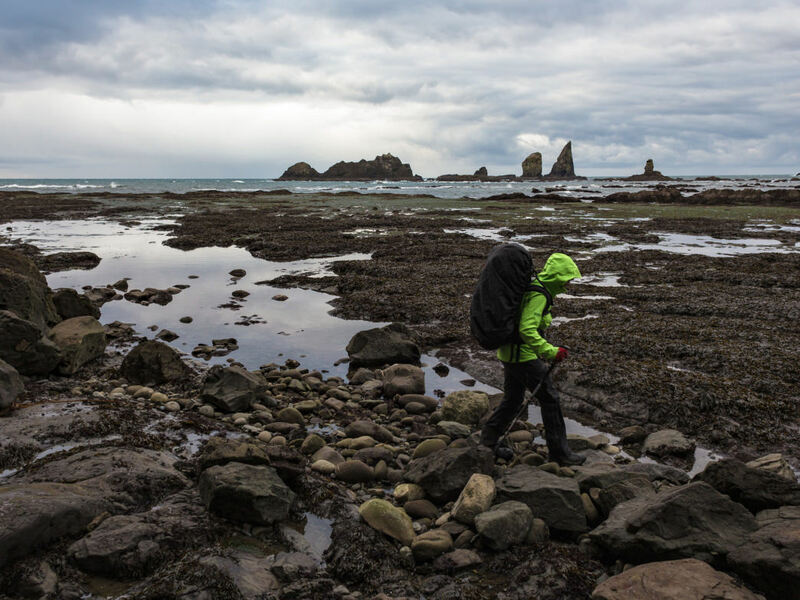 Long-distance coastal hiking here is rigorous: slogging on sand, grinding over cobble, skirting drift logs, and following muddy and jungly overland trails to round impassable headlands. A good topo map and tide chart are essential. Given the overall ruggedness of the Pacific Northwest coast, it may come as a surprise to learn that the central Oregon seashore claims the nation’s largest tract of sand dunes. 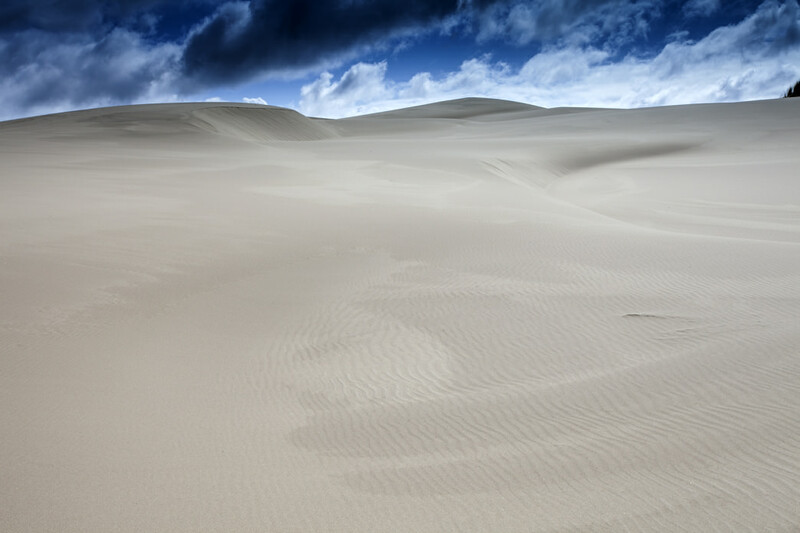 The so-called Coos Bay dune sheet stretches some 54 miles between Heceta Head and Coos Bay, much of it managed by the U.S. Forest Service as the Oregon Dunes National Recreation Area. Now, Oregon has a famously scenic coastline with plenty of wild character—storm-battered capes and headlands, shrouded spruce ravines, rocky coves of boiling surf—but highways (mainly 101) hug it nearly all the way. In the Oregon Dunes, however, the road pulls inland for long stretches. Off-highway vehicles are allowed in much of the recreation area, but where they’re forbidden—for instance, between the sand mouths of the Siltcoos and Umpqua rivers—hikers can easily find solitude amid the dune wastes, the soggy (and often mosquito-swarmed) pinewoods of the deflation plain, and lush “tree islands” of sand-encircled temperate rainforest. Summer backpackers often find themselves socked in for days by Pacific fog that turns the dunefields into a chilly dreamscape. The highest and roughest mountains directly flanking the Lower 48’s Pacific Coast lie in California. South of Eureka, the rugged King Range looms 4,000 feet not far from the tideline, forcing Highway 1 inland and thereby fortressing some 60 miles of mostly roadless shore called the Lost Coast. Between the King Range National Conservation Area in the north and the Sinkyone Wilderness State Park in the south, this is the West Coast in the raw: raging surf, offshore arches, beach rivers, redwood ravines, shadowy Douglas-fir/tanoak forests breaking into grassy ridgetops with sweeping ocean views. It’s not uncommon to see Roosevelt elk grazing within sight of harbor seals, sea lions, and spouting gray whales. 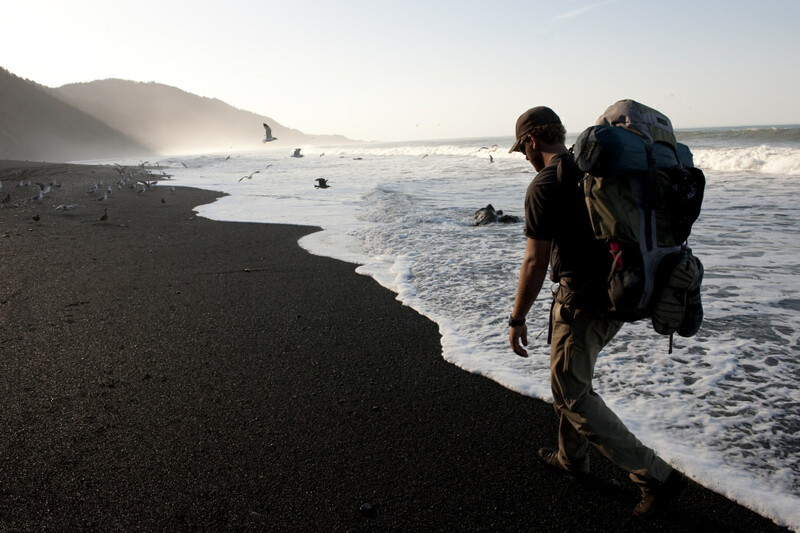 The Lost Coast Trail makes one of the finest coastal backpacking treks in the country, though, as on the Olympic shore, you’ll be challenged by tides, weather, and tiring sand/cobble hiking. Much of the 25-mile northern segment between the Mattole River and Black Sands Beach goes right along the beach; the southern Sinkyone section, nearly 30 miles of it, spends more time inland and upslope.